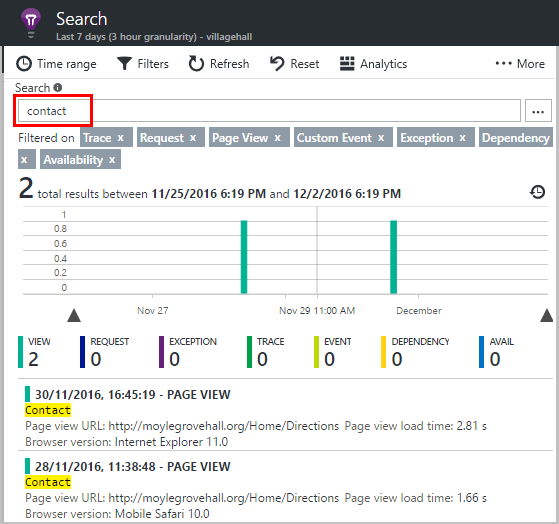 Search is a feature of Application Insights that you use to find and explore individual telemetry items, such as page views, exceptions, or web requests. And you can view log traces and events that you have coded. Where do you see Search? The main body of Diagnostic Search is a list of telemetry items - server requests, page views, custom events that you have coded, and so on. At the top of the list is a summary chart showing counts of events over time. Click Refresh to get new events. 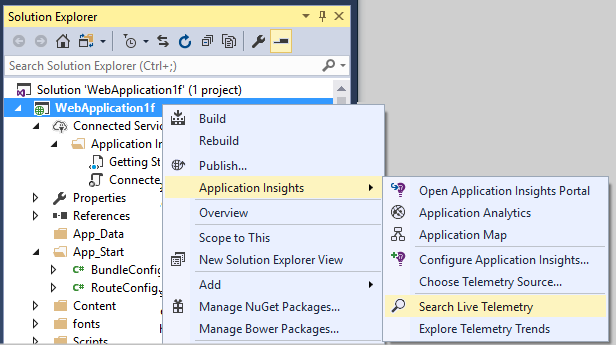 In Visual Studio, there's also an Application Insights Search window. It's most useful for displaying telemetry events generated by the application that you're debugging. 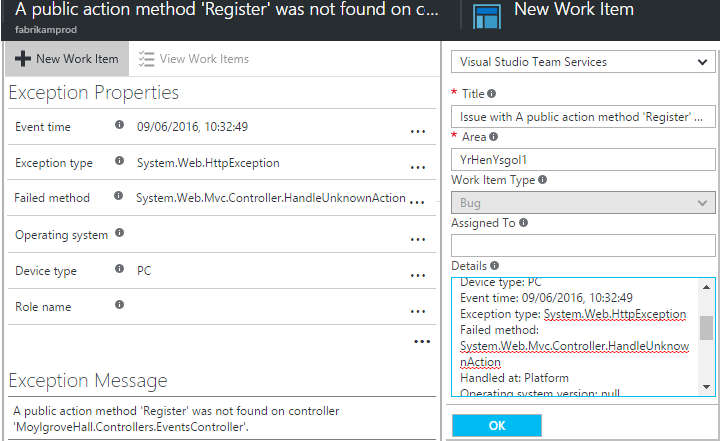 But it can also show the events collected from your published app at the Azure portal. 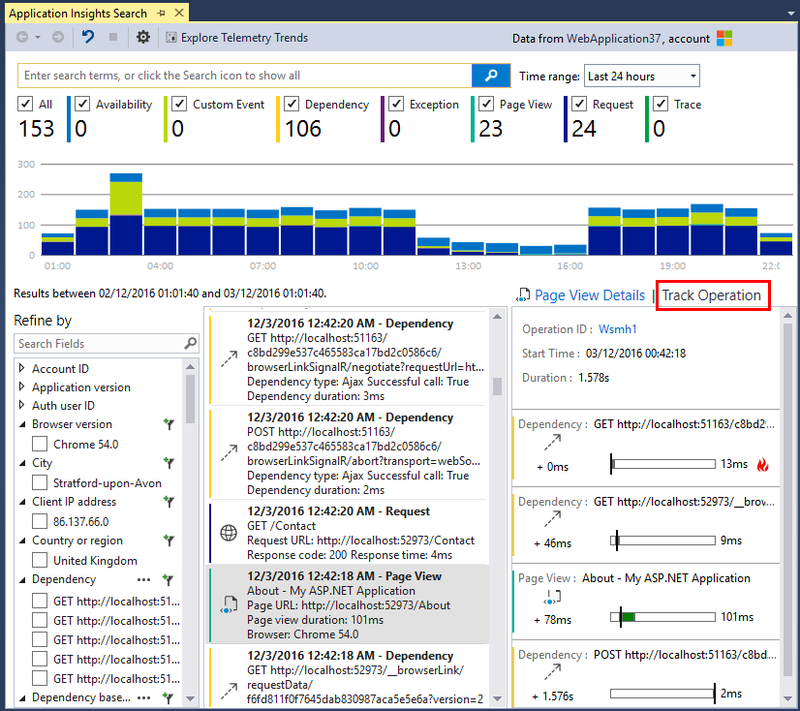 The Track Operation tab is available when you open a request or a page view. An 'operation' is a sequence of events that is associated with to a single request or page view. For example, dependency calls, exceptions, trace logs, and custom events might be part of a single operation. 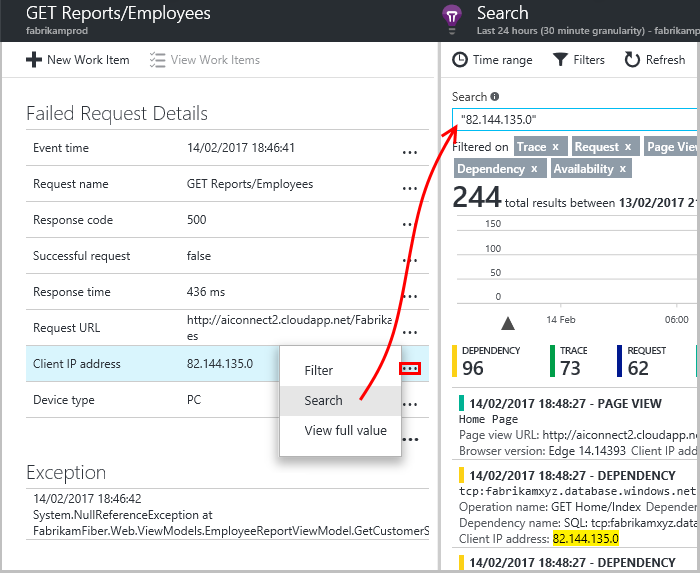 The Track Operation tab shows graphically the timing and duration of these events in relation to the request or page view. Select any telemetry item to see key fields and related items. Trace - Diagnostic logs including TrackTrace, log4Net, NLog, and System.Diagnostic.Trace calls. 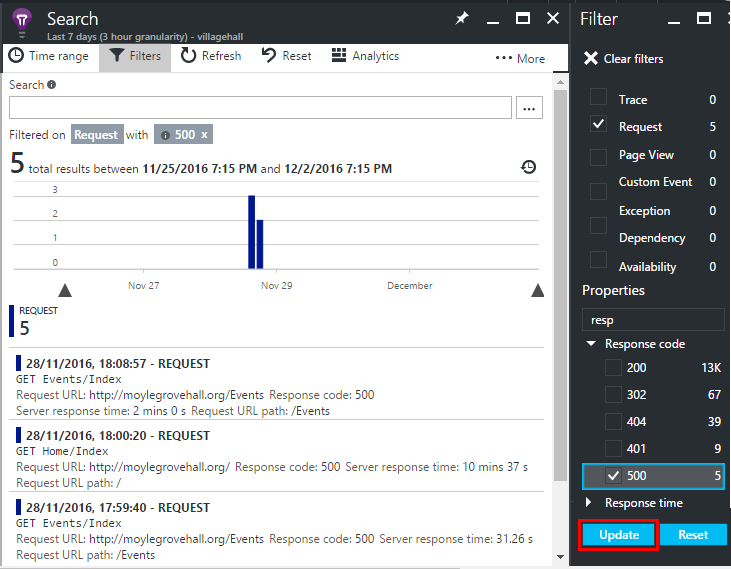 Request - HTTP requests received by your server application, including pages, scripts, images, style files, and data. 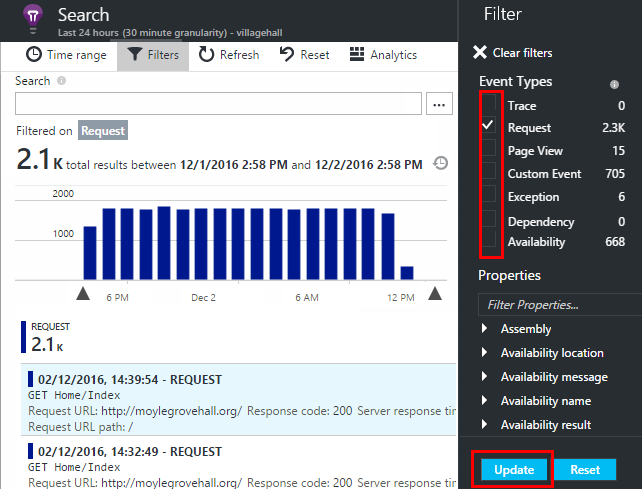 These events are used to create the request and response overview charts. Page View - Telemetry sent by the web client, used to create page view reports. Custom Event - If you inserted calls to TrackEvent() in order to monitor usage, you can search them here. Exception - Uncaught exceptions in the server, and those that you log by using TrackException(). Dependency - Calls from your server application to other services such as REST APIs or databases, and AJAX calls from your client code. Availability - Results of availability tests. You can filter events on the values of their properties. The available properties depend on the event types you selected. For example, pick out requests with a specific response code. Choosing no values of a particular property has the same effect as choosing all values. It switches off filtering on that property. Notice that the counts to the right of the filter values show how many occurrences there are in the current filtered set. To write more complex queries, open Analytics from the top of the Search blade. You can search for terms in any of the property values. This is particularly useful if you have written custom events with property values. You might want to set a time range, as searches over a shorter range are faster. Search for complete words, not substrings. Use quotation marks to enclose special characters. apple Find all events in the time range whose fields include the word "apple"
apple banana Find events that contain both words. Use capital "AND", not "and". apple OR banana Find events that contain either word. Use "OR", not "or". apple NOT banana Find events that contain one word but not the other. 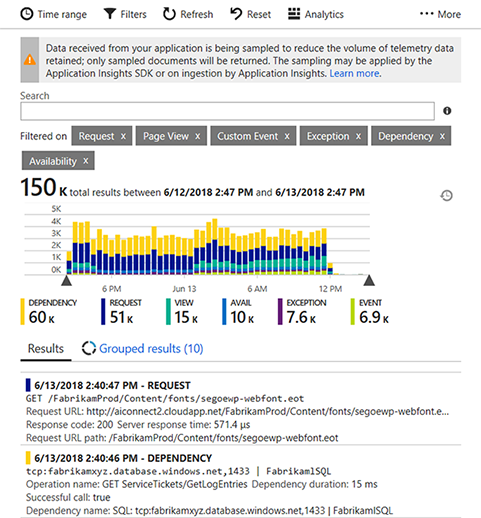 If your app generates a lot of telemetry (and you are using the ASP.NET SDK version 2.0.0-beta3 or later), the adaptive sampling module automatically reduces the volume that is sent to the portal by sending only a representative fraction of events. However, events that are related to the same request are selected or deselected as a group, so that you can navigate between related events. 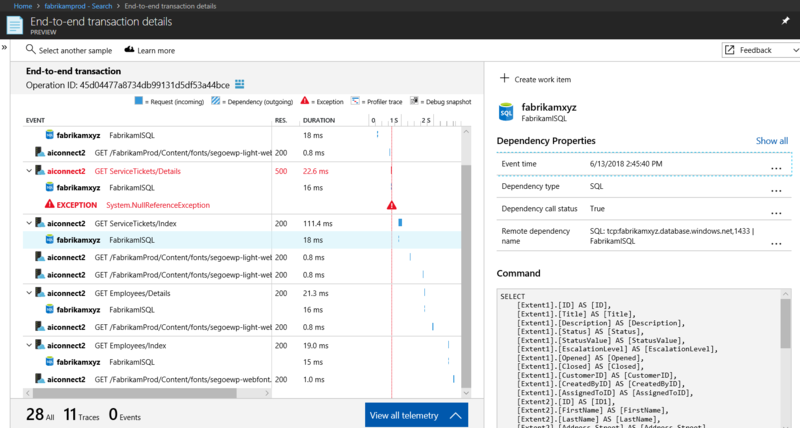 You can create a bug in GitHub or Azure DevOps with the details from any telemetry item. 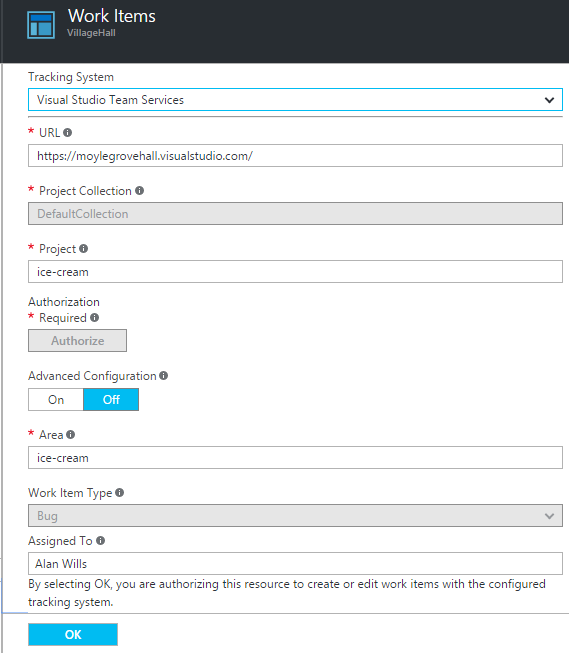 The first time you do this, you are asked to configure a link to your Azure DevOps organization and project. Capture log traces from your favorite logging framework in .NET or Java. This means you can search through your log traces and correlate them with page views, exceptions, and other events. Write code to send custom events, page views, and exceptions. 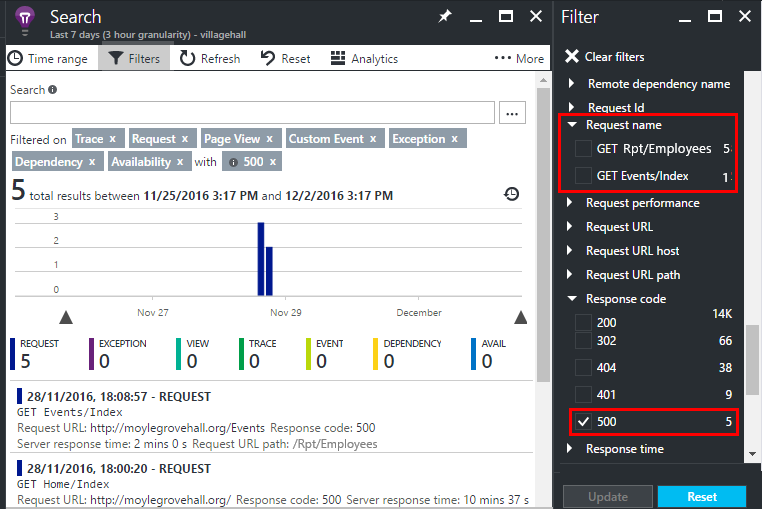 Learn how to send logs and custom telemetry to Application Insights. How much data is retained? How can I see POST data in my server requests? We don't log the POST data automatically, but you can use TrackTrace or log calls. Put the POST data in the message parameter. You can't filter on the message in the same way you can filter on properties, but the size limit is longer.